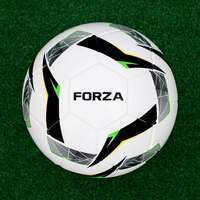 1.7ft x 1.7ft RapidFire Handheld Football Rebounder made from 1.2mm thick galvanised steel with a double-layered 52ply knotless polyethylene net. 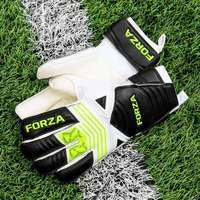 Football rebound net for goalkeeper training drills with easy-grip handles for enhanced comfort. Carry bag included. 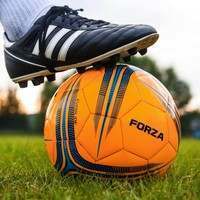 Designed for enhanced control and comfort for coaches, the handheld football rebounder has dimensions of 1.7ft x 1.7ft with two easy-grip handles which allow the football rebound net to be used for goalkeeper reactions and saving training drills. 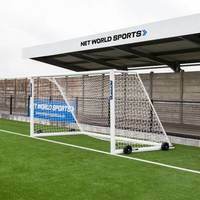 Expertly manufactured for optimal strength and durability, the football bounce back net comprises of a 1.2mm galvanised steel frame alongside a 32mm mesh knotless polyethylene net which ensures consistent performance for multiple seasons. 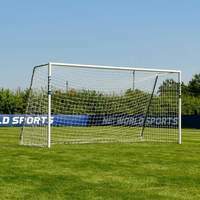 The cutting-edge football rebounder net has a double-layered design, which replicates the unpredictable nature of real match scenarios to provide the definitive goalkeeper training experience with rebounds which mimic a genuine football match. 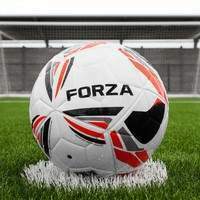 Give your shot-stoppers professional quality training with the RapidFire Handheld Football Rebounder. 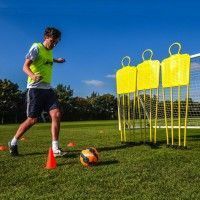 Expertly designed to revolutionise football goalkeeper training sessions, this innovative football rebound wall provides professional coaching drills for improving goalkeepers reactions, agility and close-catching. 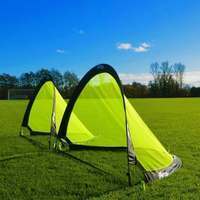 Perfect for training at home or during club coaching sessions, this cutting-edge football bounce back rebound net can be used by ‘keepers of all ages and abilities. 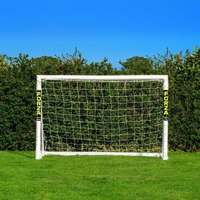 1.7ft x 1.7ft handheld football rebound net specifically geared towards goalkeeper training drills. Heavy-duty frame made from 1.2mm thick galvanised steel which has been powder coated black. 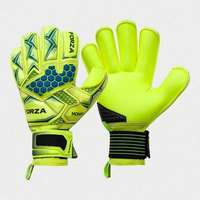 Designed with two easy-grip handles and a double-layered net for erratic and realistic rebounds. 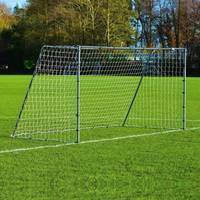 Highly reactive and taut football rebounder net which is made using 52ply knotless PE with 32mm mesh. 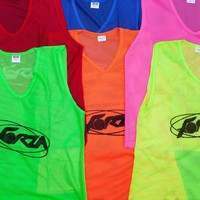 Comes with a handy carry bag to transport and store the handheld football rebounder with ease. 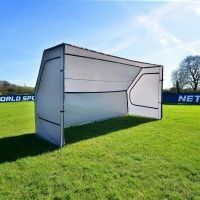 The compact nature of the 1.7ft x 1.7ft football rebound wall makes it perfect for goalkeeper coaches, with optimal control afforded by the two easy-grip handles. 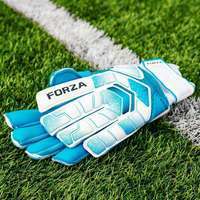 This innovative feature increases the effectiveness of goalkeeper agility, catching and parrying drills which are undertaken with this football rebounding training aid. 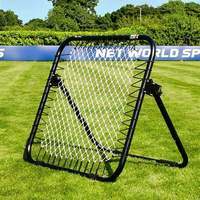 Designed with a 1.2mm thick galvanised steel frame, the heavy-duty football rebounder will become a long-lasting addition to your goalkeeper training equipment. Featuring a cutting-edge double-layered design, the rebounder net offers erratic and unpredictable bounces which mimic real match conditions to provide high quality training sessions. 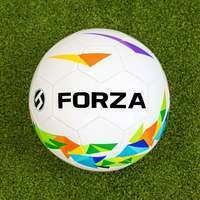 The football rebound net has the versatility to also be used during defender’s ball contesting and defensive header drills, enhancing the value of this football training tool, allowing it to be applied to a variety of positions. 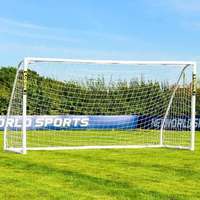 Providing taut and reactive bounces, the football rebound kickback net has been manufactured using 52ply twine knotless polyethylene with 32mm mesh for premium levels of strength. The durable football training rebounder is capable of being used consistently over multiple years. 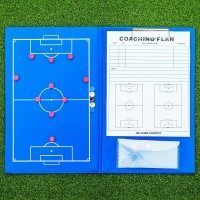 For storage and transportation, a lightweight carry bag is included allowing coaches to move the football bounce back rebounder in between various playing venues.